On arrival we are transferred through to our luxurious 5-star hotel, the Hotel Annapurna. 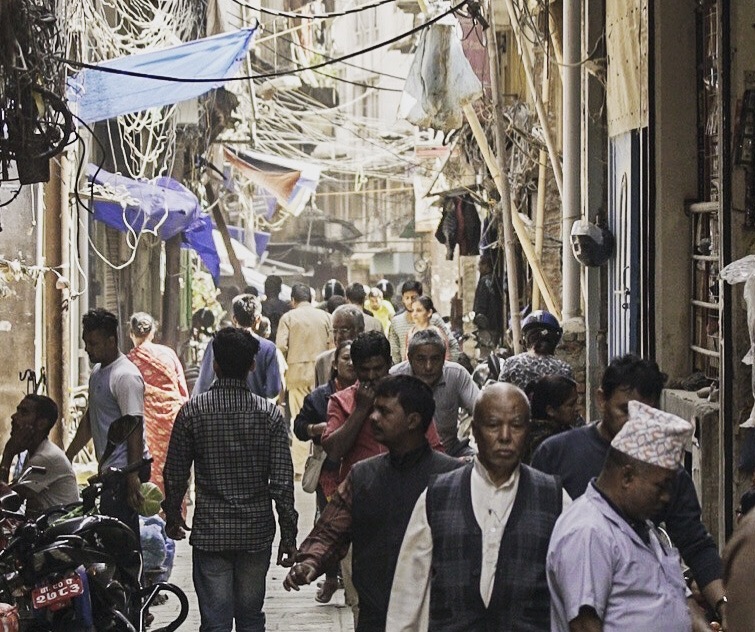 We'll head out to explore the bustling shopping area of Thamel which is a great opportunity to pick up any final trekking clothes that you may need. We will assist you to find everything you may need and become familiar with the culture and customs. This morning we explore some of the city’s most interesting sites including the hilltop temple of Swayambunath by private vehicle. Your group can choose the sights that are of the most interest to make the most of your experience of Kathmandu - there are so many incredible places to choose from. We will walk along ancient pathways and across suspension bridges, with incredible views of the mighty Annapurna ranges. We will climb through Rhododendron forests and pass through small villages as we make our way to the village of Jinhu Danda at 1780m. Today we head out of the Modi Khola Valley and up onto the ridge that looks down into the adjacent Mardi Khola. The trail goes along small winding paths and through magical rhododendron forests, leaving most other trekkers and even villagers behind. The landscape becomes quite different on the ridge and changes from the lush green valley off the previous days to a rugged high mountain landscape with incredible views of Mardi Himal, Machhapuchre, Annapurna South and Hiunchuli. As we climb the flora becomes ‘cloud forest’ with mosses and lichen, tree ferns and orchids which are hosted by the hardier oak trees. There are natural windows between the trees that look out onto thrilling panoramas towards Hiunchuli and the knife-sharp traverse leading to Annapurna South. Far below to our left, we can see the Modi Khola Valley from where we have come. Today is our big day. We will make an early start up towards Mardi Himal Base Camp at 4450m. It is a narrow and steep path up and will definitely be a challenge, but will feel like such an achievement! The view of the Himalayan vista from Base Camp is astonishing. We will see Mardi Himal (5587m), Annapurna I (8091m), Annapurna south (7219m), Hiunchuli (6441m), Baraha Shikhar (7647m), Tent Peak (5695m), Singhachuli (6501m), Machhapuchhre (6993m) amongst others. After a delicious breakfast, we will head further down the mighty Mardi Khola to the small township of Lumre, where the trail becomes a road. We will be picked up here by our transport, and driven in to Pokhara. After breakfast we head to Pokhara airport for our return flight to Kathmandu. We are met on arrival and visit the nearby Buddhist temple of Bodnath. Its central stupa towers above the surrounding courtyard, and the prayer flags flap in the breeze. Our local guide explains the rituals and customs at this impressive sight, adding an extra dimension to our visit to Nepal. Today is our last day in Kathmandu and we’ve deliberately left it free of any planned sightseeing activities. Many will want to return to Thamel to visit the shops and bookstores. Pick up a map and simply wander through the ancient streets and alleyways of this medieval city. You'll be walking for around 6-8 hours each day carrying a daypack. Reasonable fitness levels required. Items not included are drinks, extra food, shopping, travel insurance, flights to Nepal, gratuities and Nepal visas. A non-refundable deposit of US$1000 per person is required to secure your place. Full payment is required 12 weeks before the date of your trek. Comprehensive personal travel insurance is required for this trip. We will also ask you to fill out a disclaimer before you begin the adventure. You must follow the instructions of your guides at all times.